Sometimes a mistake can turn into a bonanza, and this is precisely what happened when Europeans looked West. 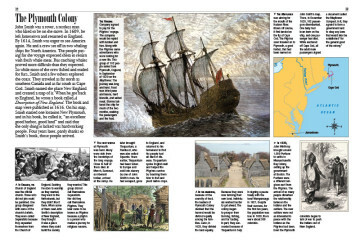 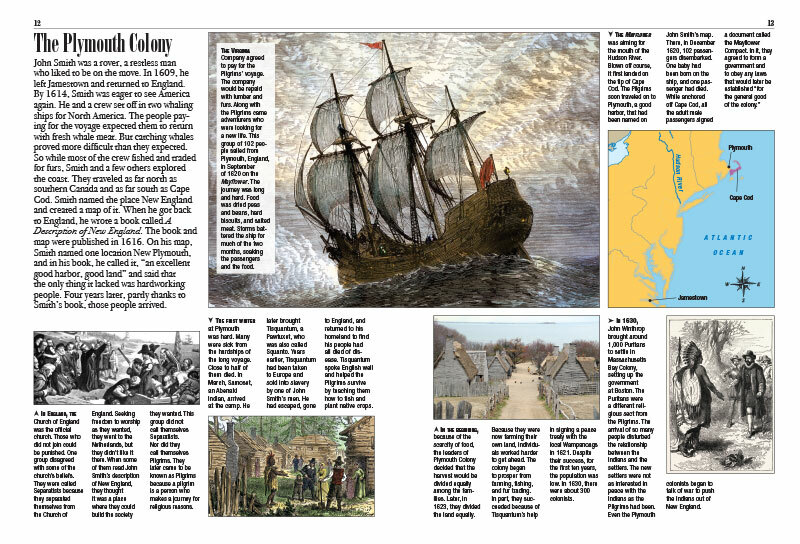 Step into a time machine, set the year for 1492, and get ready to discover some little-known facts about European settlement of our continent. 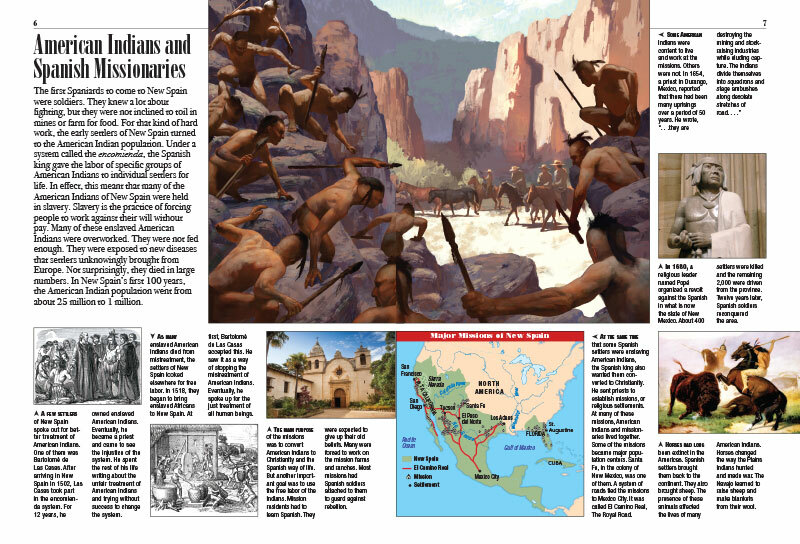 For kids interested in how and why Europeans got started traveling West, Kids Discover Early Settlements provides a window onto the motivation of the “movers and shakers” behind the journey, whether it was for gold and treasures, natural resources, commerce, or control. 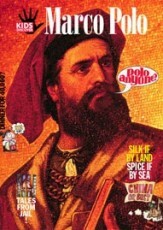 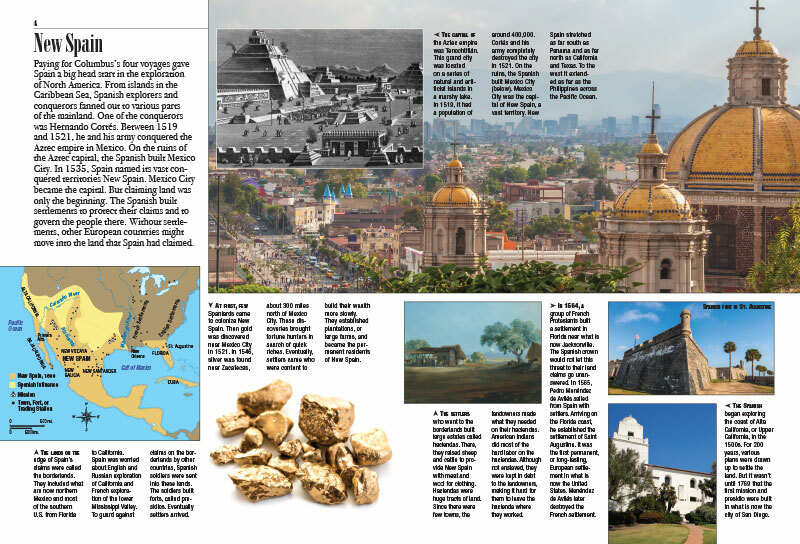 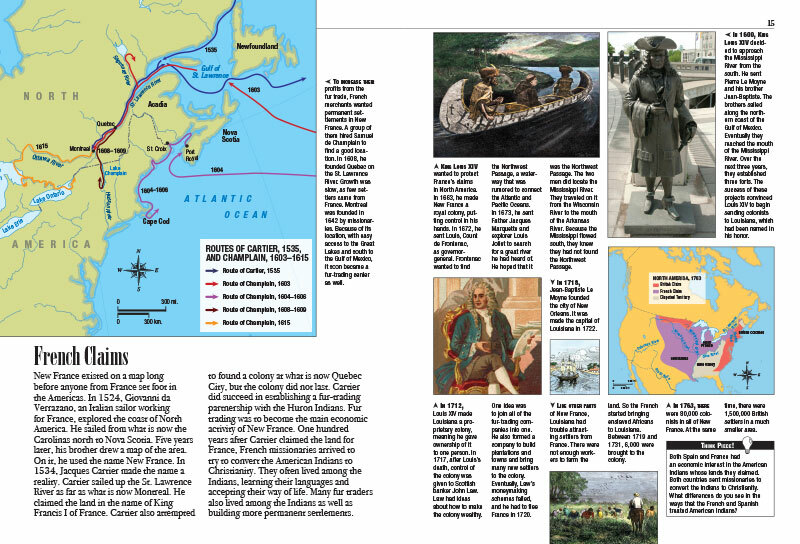 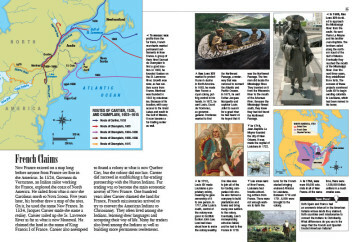 First, kids get an overview of the reason for each country’s interest; then they are introduced to the early explorers and settlers from Spain, England, France, and the Netherlands, like Hernando Cortés, John Smith, Jacques Cartier, and Henry Hudson. 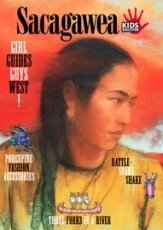 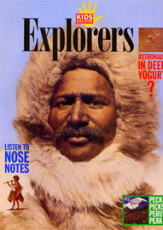 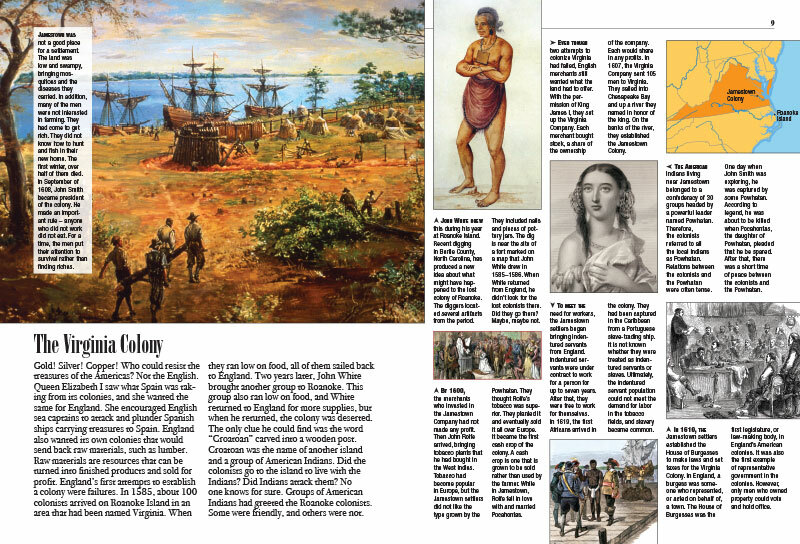 For kids interested in the interactions between Europeans and American Indians, this issue has plenty of details. 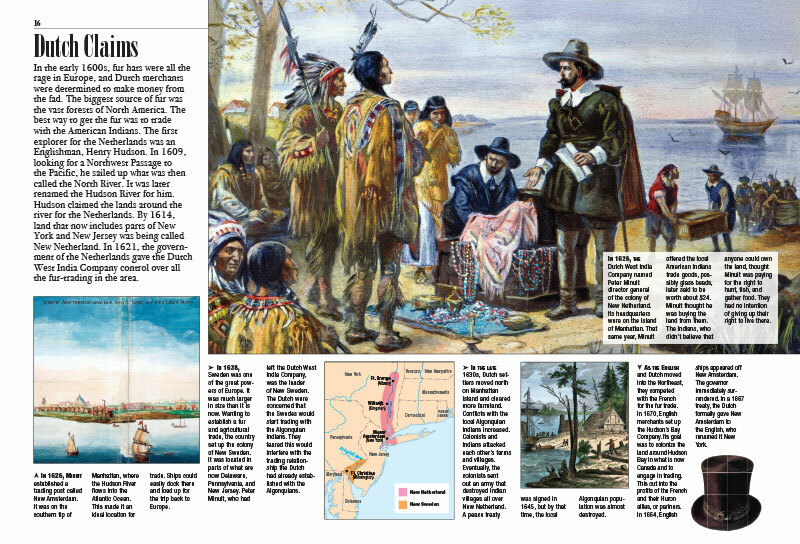 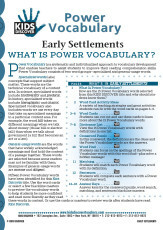 Kids can read how American Indians at first helped European settlers. How the settlers later enslaved them and used them to work on haciendas and missions. 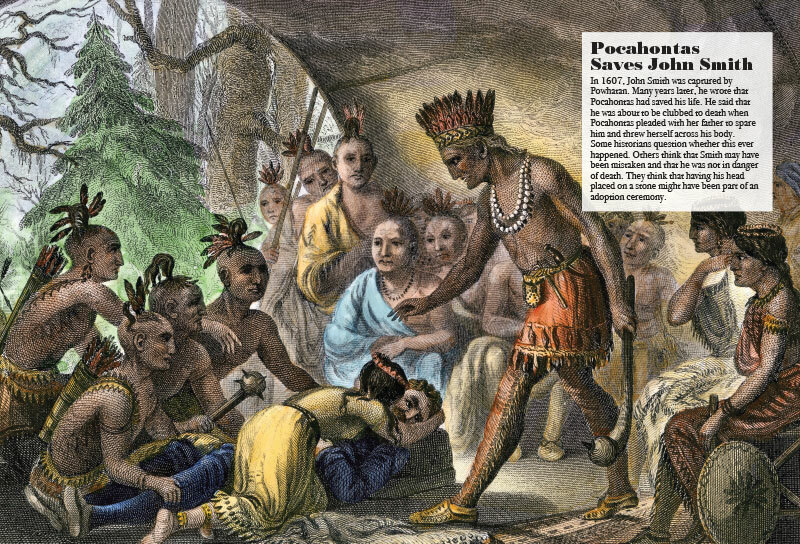 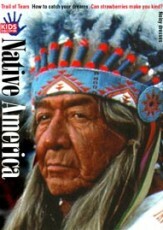 And how harsh treatment and diseases from Europe decreased the American Indian population. 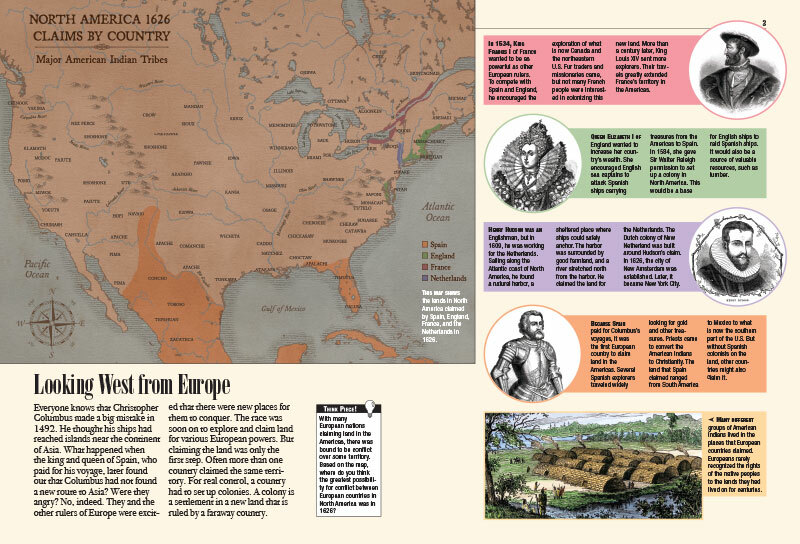 Kids will also explore how, when, and why Europeans enslaved Africans. 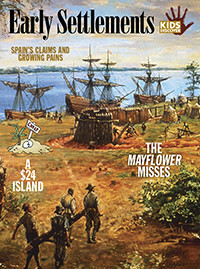 In all, this issue is a highly readable and integrated narrative of the early history of European settlement and government in North America – a veritable wealth of images and information between two covers.